Menus in SchoolCafé publish instantly. Issues with an ingredient or last minute changes to the cafeteria menu? With one click menu publishing, SchoolCafé gives districts the ability to easily adjust menus while keeping students and parents in the loop. 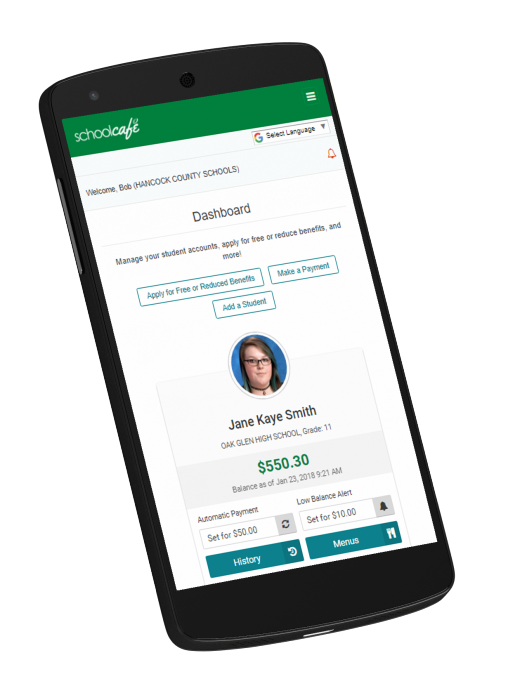 For parents interested in finding out more about their student’s meals, SchoolCafé gives them a convenient way to check ingredient and allergy information. 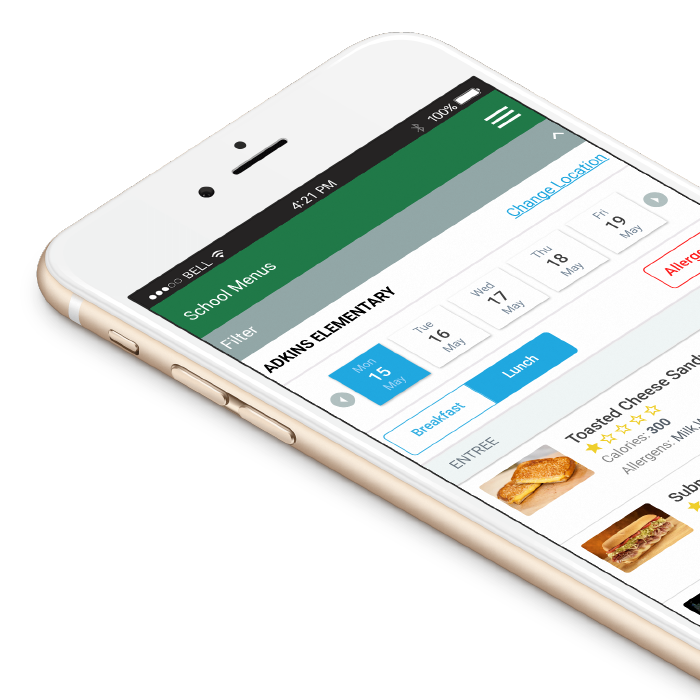 SchoolCafé will send out push notifications and alerts if a student’s favorite item is being served – making sure students don’t miss out on popular meals and giving schools another tool to increase participation. Forget paper applications and delays in verification responses. SchoolCafé lets parents apply for Free and Reduced applications online and even from their phone. 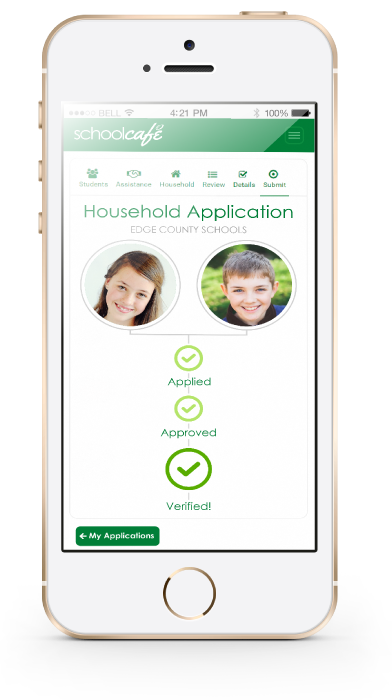 Ensure parents get verification requests by sending push notifications to their mobile device. Online applications can be tailored for your school and multiple language translations ensure accessibility for varying households. With email and push notifications, parents can stay on top of their student’s account balance. Low balance reminders make sure parents never miss a payment and students always have adequate funds in their account. Automatic payments can be set up for student accounts, giving parents the convenience of never needing to remember funding their student’s balance. 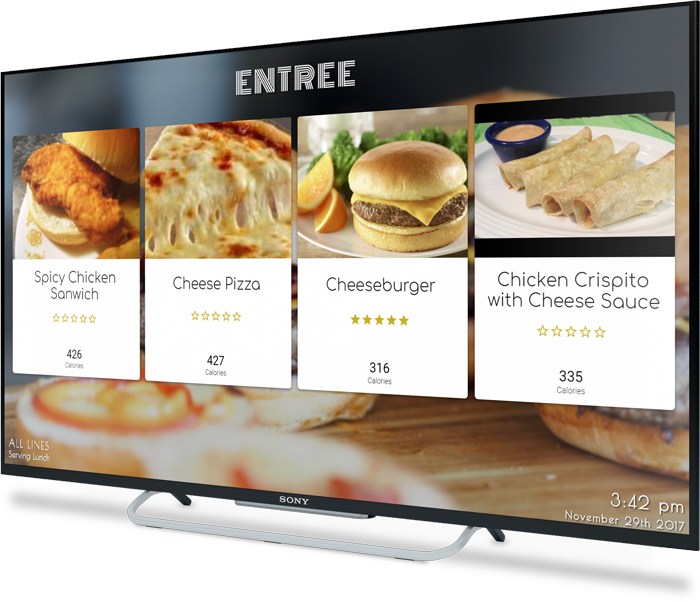 SchoolCafé TV allows schools to display their meals as beautiful and engaging digital menus. Customize your digital menu board to fit any menu, at any time. Create your digital menus without the need for a single line of code. A 30 minute installation means a world of easily accessible menu templates, colors and fonts. Sync your device using a 4 digit code and you’re up and running. SchoolCafé TV is ready to make marketing a breeze, are you?